Like Vanilla. Specifically; home made vanilla extract. I’m sitting here looking at a bottle of clear rum that has about 7 vanilla beans in it. It also features a label out of masking tape that reads “Use March 2012”. That is how simple making your own vanilla extract is. 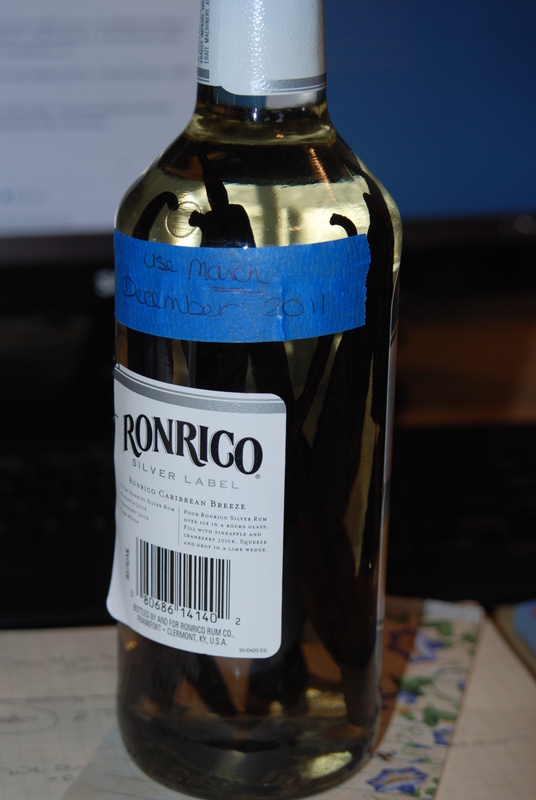 A bottle of booze, vanilla beans, and time. Granted, not everything can be that simple. But its amazing how much less complicated things CAN be, especially when you let them.